When you are buying one home and selling another, it can be difficult to coordinate the sale and purchase, especially if there are multiple offers in both contexts. You have equity in your existing property, and ideally you would be able to leverage that equity to purchase your new home. Bridge loans are a way to address the gap between the finalization of your property purchase and the closing date for your old home. The underwriting process for a bridge loan is often different from the process for a standard loan. At Pulgini & Norton, our Boston real estate lawyers can advise you on whether obtaining a bridge loan may be a good solution for you. Bridge loans are short-term loans that provide interim or temporary financing until a more permanent form of financing is received. Often, they are used to finance the purchase of a new piece of property while waiting for another piece of property to sell. The benefit of a bridge loan is that you can buy and sell without use contingencies. This may help because you may be able to make a purchase you might not otherwise be able to make. Bridge loans are short-term and do not need to be submitted to the secondary mortgage market. During their length, you basically maintain two mortgages, one on your existing home and one on the home you just bought. You will need to qualify to carry both of the mortgages, and not all borrowers qualify for bridge loans. 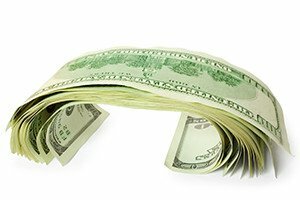 The short-term nature of a bridge loan is particularly beneficial. When a loan has a long life, it is more possible that a borrower will face a financial hardship that could result in a default on the loan. This may increase a borrower's financial struggles because of the penalty fees involved. Bridge loans are designed to be repaid within a short window of time, either before you secure long-term financing or shortly afterward. If you are intended to repay the bridge loan beforehand, the payments are structured so that you have a limited time period within which to make them, and your credit rating will improve. Otherwise, the permanent funding may be used to pay off the bridge loan fully. However, there are some disadvantages associated with a bridge loan as well. With a bridge loan, you may face more closing costs than you do with a home equity loan. Additionally, because of the short window of time, you must make larger payments. Lenders are not as flexible about late payments as they are with long-tem loans, and the penalties are higher. If you decide to repay the loan after you have secured permanent financing, you should be aware that interest accumulates for the months in which the loan is not repaid. This means you may have to pay significantly more than what you would have paid during the loan term. Perhaps most importantly, if you decide to repay the loan with the permanent financing, you should be aware that securing permanent financing is not guaranteed. If funding falls through, you would probably face challenges making the payment out of pocket. When you buy a new home and sell your existing home at the same time, you may need a bridge loan. At Pulgini & Norton, our experienced Boston real estate attorneys can advise you about all of the aspects of your real estate transaction, including obtaining a mortgage and bridge loan. Our home financing lawyers advise and represent buyers, sellers, associations, and lenders in Medford, Lowell, and New Bedford, among other Massachusetts communities. Contact Pulgini & Norton at 781-843-2200 or through our online form to schedule a free consultation.